KNAGS take on Cape York! What is CSG and why do we need to stop it before it starts? CSG stands for Coal Seam Gas. The process for extracting this gas is called Fracking. Fracking involves drilling deep into the rock mantle and then injecting a chemiical cocktail mixed with sand and water into the well under pressure to fracture the coal sem and release the gas. Fracking damages aquifers, leading to groundwater contamination, and flow on effects into rivers, streams, bores and other vital water resources. In a country where we have limited fresh water resources, this poses an unacceptable risk. Once a gas well has been drilled, it WILL leak, both into the water and into the air, there is mounting evidence of this in southern Queensland and north-western NSW. Families, livestock, and the land upon which they depend has been damaged beyond repair by the Gas Mining Industry. People all across Australia are rallying to stop this damage from getting any worse. Here is the raw majesty of the country we are dedicated to protecting – enjoy aerial views of Nguddaboolgan country. North Queensland is now under threat from Gas exploration, which, if we do not STOP, will lead to invasive mining practices such as those seen around Tara and Chinchilla over the last 5 years. 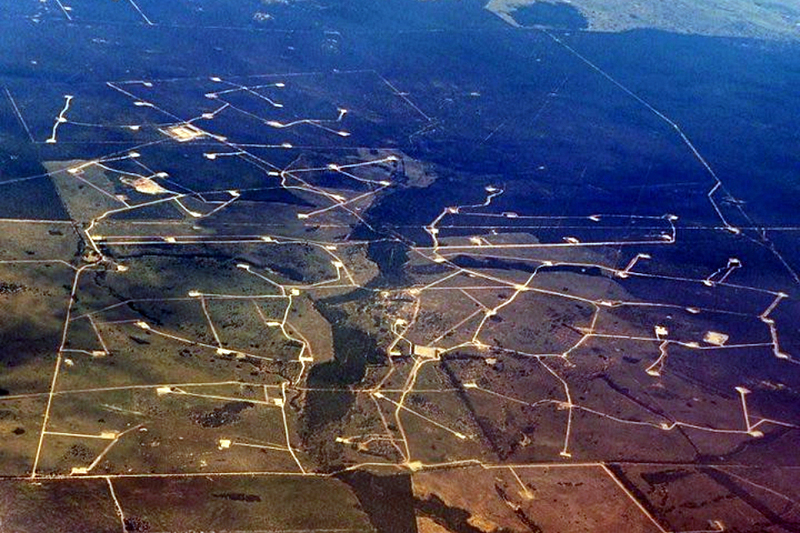 Below is an image of Tara gasfields. Gas mining does not lead to long term employment of locals, and 83% of the profits from this industry goes offshore. Don’t be fooled, GSG mining is a bad mistake, one that cannot be undone. Get informed, Lock the Gate, get support, join a local group or form one. Speewah film night featuring Fractured Country – What’s all the fuss about fracking? Come along & find out @ Speewah Tavern, 8th April at 7pm.